Providing you the best range of hdpe and pp woven sack inks, woven sack ink and woven sack printing inks with effective & timely delivery. Provided ink is processed by utilizing optimum quality solvent and advanced technology, for increased compliance with international standards of quality. 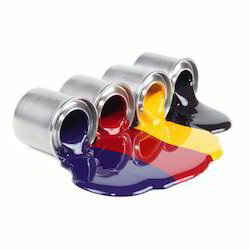 Apart from this, our offered ink is available in different packaging options, as per the precise needs of our clients and at highly competitive prices. In order to ensure quality, it is stringently tested on various parameters by our quality controllers. These inks are specially used for printing PP Woven Sack used for packing Cement, Sugar, Flour etc. Woven Sacks Ink. Used to prints woven sacks, our provided oven sacks inks are acclaimed in the market for its urea resistant, alkali resistant & rub resistant. These oven sacks inks are processed by best grade chemicals keeping in mind the set norms. Offered oven sacks inks are available in various air tight packaging options. 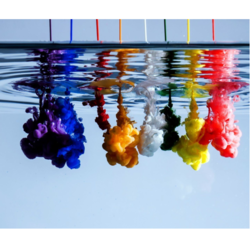 Provided oven sacks inks are tested on various parameters in order to ensure their quality. HDPE Woven Sack Fabrics Printing Inks is superior in quality and gives utmost satisfaction for the requirements of our customers. Finding its application for printing and fine line printing at high speed on polyethylene film, the gravure inks has created a wide market in the industry. Our collection features excellent adhesion properties, excellent gloss and depthness, excellent print finish and high print density.